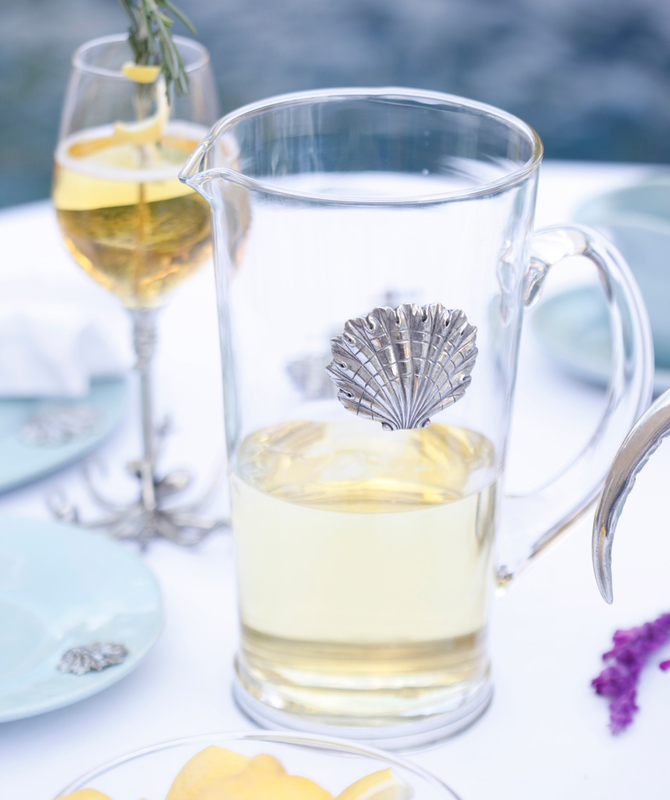 Create a seaside mood in your dining room with the Coquille Glass Pitcher, enhanced with an intriguing stylized layered scallop shell medallion. 5 1/2"W x 9 1/2"H; Holds 64 oz. This coastal dinnerware ships from the manufacturer. Allow 3 to 4 weeks. Cannot express ship. For many more options, we ask you to take the time to view our complete assortment of coastal dinnerware at Bella Coastal Decor today.